Clap on, clap off! Remember when The Clapper hit the market? Today’s assistive technology products are making The Clapper look like a relic from the past. 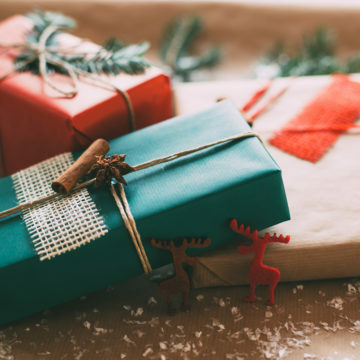 And with the holiday season just around the corner, we’ve developed the following hands-free tools gift guide for family members and friends. 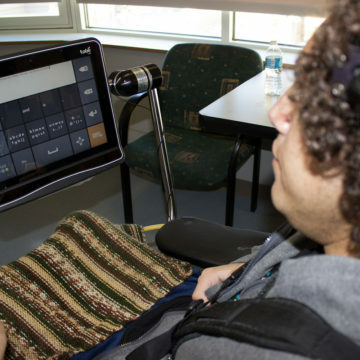 Assistive technology is any item, piece of equipment, software program, or product system that is used to increase, maintain, or improve the functional capabilities of people who have physical and cognitive impairments – including those who have sustained a spinal cord injury (SCI) or traumatic brain injury (TBI). These hands-free tools are becoming less expensive and easier to install. A home environmental control used to cost thousands of dollars. Today, assistive technology tools like voice control products can be purchased for under $100. There are also Smart Home devices that can be controlled by a smartphone, tablet, or computer which can be used for turning on/off lighting, changing thermostats, unlocking or locking deadbolts/smartlocks, accessing wireless doorbells, or opening/closing blinds. Vocca smart light, a voice activated light adapter. Foot switch extension cord. This can be purchased with an indicator light and are an easy foot or hand operated on/off light control that can be used to turn on/off lights and appliances. Zap module/remote, a wireless remote control electrical outlet switch for household appliances. Push, pull, rotate door handles, nobs, and levers are an easy way to open a door. With just one finger, an elbow, or hip, a person can simply push or pull his/her way through a door. Beyond EADLs, having phone access is at the top of the must-have list according to Jill. “Smartphones allow people to be safe but also allow them to access their calendars, send and receive text messages, email, and open apps using voice commands,” says Jill. Additionally, computer access is important for allowing people to manage their homes, families, and work. “Computers provide people with tools to communicate with home health agencies, schedule appointments with physicians, and access pharmacies for prescriptions. 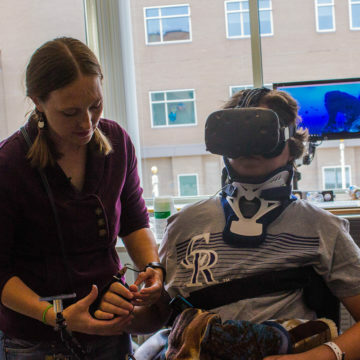 They also help people return to work with tools like speech recognition, mouse, and microphone options,” Jill said. Speech recognition like Dragon Naturally Speaking, Dragon Dictate, Windows Speech Recognition, and Mac Dictation. Personal assistants such as Windows Cortana or Mac Siri. Consider a microphone that is compatible with Dragon, has noise cancellation, is physically accessible, and can be portable. Insynch buddy products for the desktop. On the go, portable products such as Samson Go Mic, Bluetooth/USB adaptor. Hand access tools like a trackball, trackpad, or wheelchair joystick. For alternative access check out mouth joysticks, head/face tracking cameras, or eye tracking. For the wheelchair, look for a sip/puff, head array, or chin joystick. “At Craig, we introduce our patients to a variety of products and provide them with the opportunity to trial them. These products can be essential to achieving the highest level of independence and quality of life,” says Jill. Want to see some of these products in action? Check out Craig’s The Tech Lab. Is an assistive technology hot product missing from our list? Let us know in the comments section below.